Like banishing spells, revenge spells and other revenge magick, they are used in both positive and negative ways. There are certain kinds of binding spells which CAN be and are often used negatively. Those that embrace that idea though should always be aware of the Wiccan rede – Harm none. If you disobey this core element of white magick then you open yourself up to the returned by 3 rule. This means that all the negative energy you have sent out into the universe will be returned to you. And also, 3 times as powerful. You should ask yourself, is it really worth it? Now we have that out of the way, there are many ways that binding spells can be used in a positive manner. As well as a way that does not cause negative effects or energy to be directed at another person. Instead, binding spells magick takes away the power of the negative influence that is attacking you. With that gone, it obviously means it does not bother or hurt you anymore! Some people like to use love binding spells however I believe that these spells are cast way too late! Instead of cementing a current bond between two consenting and already in love people, this spell is generally used as a last result by a desperate person within the relationship trying to stop a breakup. This rarely works and is not good because it attempts to impose will on the object of the magick. You will need two photographs – one of yourself and one of the person you are trying to bind. Use a sharp object like a knitting needle or letter opener to poke two holes in the photos. Using a yard of red ribbon sew the two pictures together. Throughout this whole process, chant out your desire in the form of a verse made up by yourself. As I have mentioned previously, these types of real spells work for the greater good by protecting potential victims. They also lessen a negative influence instead of directly attacking a person no matter how bad or destructive they might be. Even when you cast binding spells to try and bind another person from doing harm either by the rope and knots method or by the tight wrapping of an image method, you are still interfering with that person’s life journey and karma. You may however feel that the harm being done by this person is just too big to ignore. There is a way to provide some form of safety and surety when casting binding spells. Always add the proviso “if it is right to do so” at the end of your binding spells or rituals. A ritual for harmony is another great way to use binding spells magic as it is far less invasive. If you are feeling too constricted, or get annoyed by constant bombardments’ from someone then a good harmony ritual will do the job in a much more white light thanks to the way it preserves the positive aspects of the relationship. You can get access to this Harmony ritual as well as several other binding spells in Magick Power! So in summary, remember that the true and best use of binding spells magick is to rid yourself of negative energies. These negative energies may come from someone who is abusing you either mentally or physically. Casting binding spells in this way will not harm the object of the spell and it won’t affect their daily life in any way. It simply makes the person powerless to mentally or emotionally harm you. 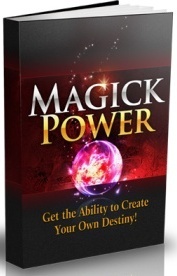 To get some real magic spells that work that teach you how to use all types of binding magick from binding objects, binding three to increase magick power, stop people from harming you and even to bind an enemy, take a closer look at Magick Power. It contains a wealth of knowledge of all things magick as well as tonnes of real spells and magic rituals. Click the book below to see firsthand what it has to offer including Binding Spells – you will not be disappointed!